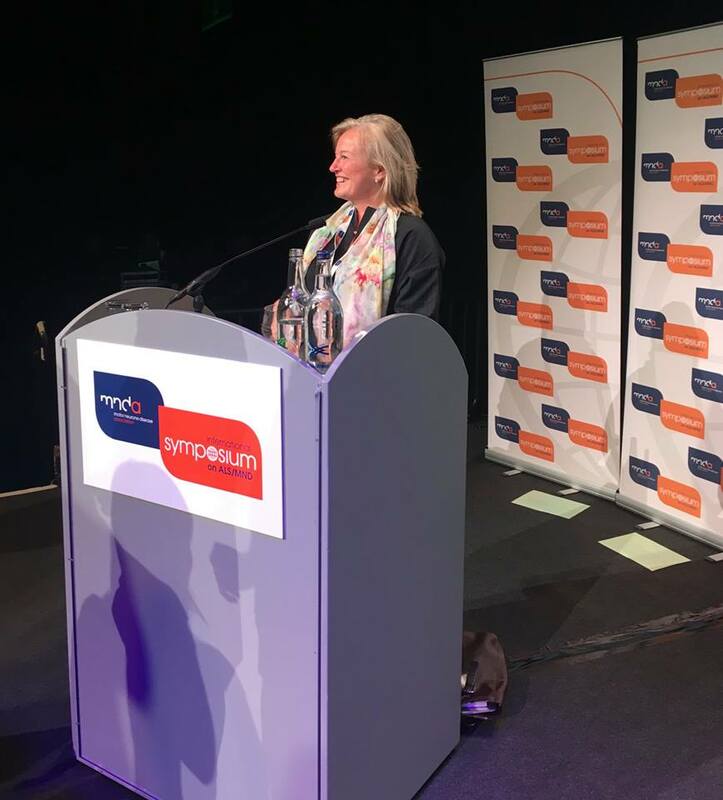 A big congratulations to our inspiring director, Dr. Angela Genge, on receiving the Forbes Norris award at the ALS MND symposium in Glasgow, Scotland! 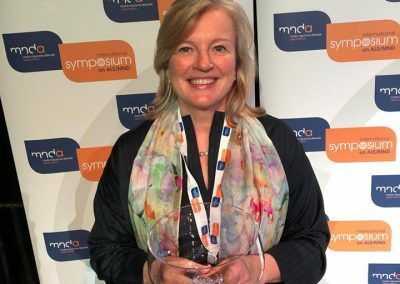 She is recognized for her exceptional care and compassion towards ALS patients as well as her tireless involvement in clinical trial development and dedication to clinical research. Congrats Dr. Genge! We could not be prouder to be on your team. 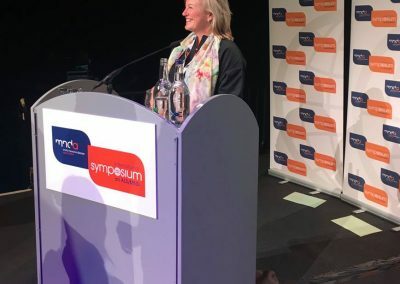 The Forbes Norris Award is given annually to a neurologist thought by his/her peers in the ALS/MND community to have shown exceptional care and compassion in the study and management of ALS/MND. Is a member of team/s undertaking ongoing research into ALS/MND care, management and/or basic science. The Forbes Norris Award will consist of an inscribed crystal bowl and framed citation of the awardee’s work. The judging panel will consist of the Chair of the Alliance, two Directors and a representative of the World Federation of Neurology. 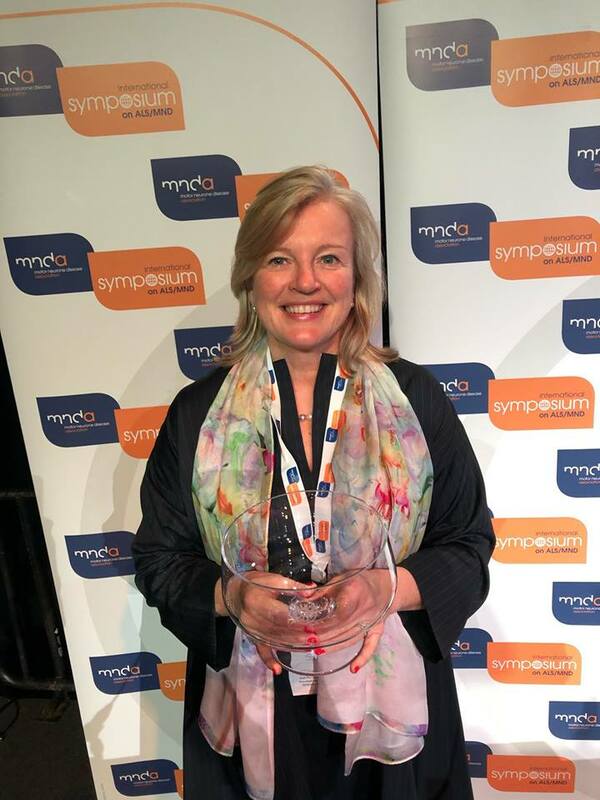 The award is presented at the Opening Ceremony of the International Symposium on ALS/MND each year.